The goal behind SUHD is to deliver better contract, brightness, colors, and detail than before, using a nano-crystal semiconductor that trasmits different colors of light depending on their size. All of that sounds like gobbeldygook to me, honestly, but the company claims this will deliver 2.5 times the brightness and twice the color adjustment points for conventional TVs. This will help skin tones, gradients in the sky, and even very dark scenes look their best. 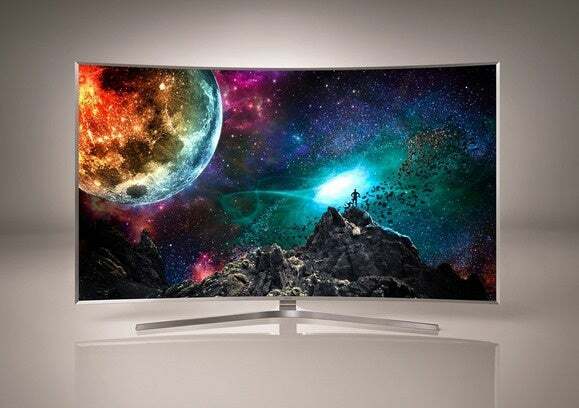 The curved SUHD JS9500, Samsung's top-of-the-line TV for 2015. Samsung is working from the content side as well as the technology, partnering with 20th Century Fox to optimize its movies, and even remastering multiple scenes from the Ridley Scott film Exodus specifically for SUHD. 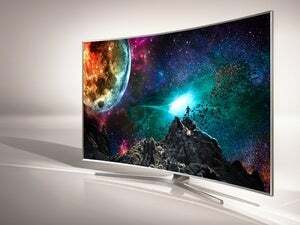 Samsung is turning to Tizen as the open-source platform for its smart TV line. This introduces new features like Quick Connect, which lets your TV automatically connect to your Samsung smartphone with Bluetooth LE, so you can share content from the phone to the TV, or even access the TV on your phone without needing to use a third-party app. The smart TV platform will have streaming providers like Amazon, Comcast Xfinity, DirecTV, M-GO, and Netflix. Samsung will even help you get 4K/UHD content with its own UHD movie download service, partnering with a la carte streaming service M-GO as well as Technicolor and DreamWorks Animation. Samsung is even rolling out its own sports and video products, including Samsung Sports Live, which shows stats on the same screen as live games, plus Milk Video, for discovering and sharing video clips from the Web. The Briefing on TV feature even turns your TV into a giant alarm clock, turning on at the appropriate time and displaying weather data as well as your schedule for the day, pulled from your smartphone.